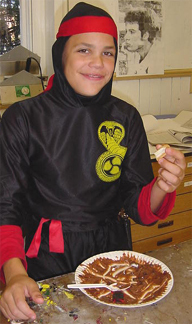 Halloween is always a special time for kids, and on October 31, 2003, middle school students were challenged to create a spooky Halloween "sculpture"! 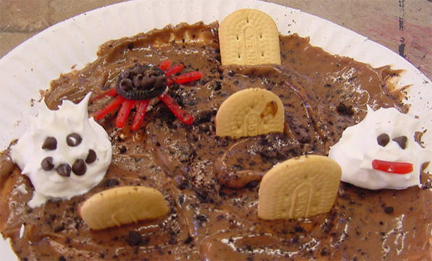 Each student was given a paper plate with some "mud" on it (chocolate pudding), and their "art materials" included oval shaped cookies, Mini Oreos, miniature chocolate chips, red Twizzlers, and Cool Whip. 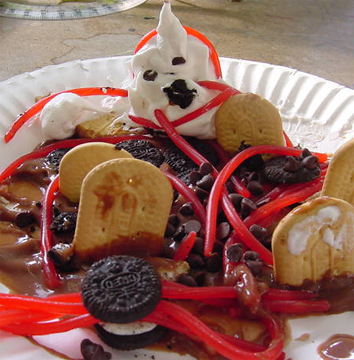 With these, they created tombstones, snakes, worms, spiders, ghosts, and monsters! 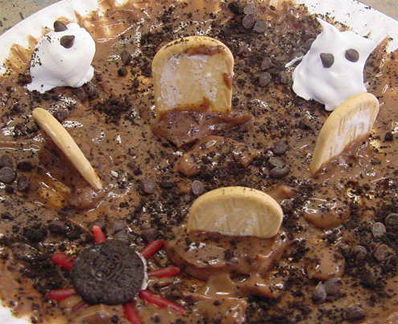 And the best part of this frightfully delicious activity?